degrees and preppy dorm, ESL schools. Korean and Japanese 'barkadas', Vietnam pals, Indian friends, and even young and enterprising Ukranians visit the Philippines for one specific purpose--to learn English in a native speaking country or earn a low cost, university degree in the health sciences or in engineering that is taught in English. Manila, Baguio and Cebu are the ESL hotspot learning centers where many Asians flock to for a 1 month or 2 month immersive cram school learning English as a 2nd langauge. The prep dorm school environment and the one-on-one teaching sessions come highly recommended by previous students of these Japanese or Korean managed transplant schools. They hire local Pinoys to teach ESL module courses. Asian "schoolies" wanting to learn to write and speak English are a holiday travel phenomenon unique to the Philippines. English learning is one of the most hyped reasons for traveling to the country, Asian and Ukranian students often find that the place is both drastically underrated and way overrated yet still worth all the fuss. South Koreans, by huge numbers, are making the most of what they find in Manila and Cebu as well as local urban hubs and off-grid gems. They discovered by happy circumstance that the closest country where they can have a cheap summer holiday and home away from home is Las Islas Filipinas. On the other hand, Western travelers come here to look for cheaper expat retirement options than the more highly recommended ASEAN gems--Malaysia, Vietnam, Cambodia, Laos. Or be alone in El Nido during low season and have the place all to yourself (like celebrity Margot Robbie and boyfriend) while the "schoolies" get bombed and raucous elsewhere. to their counterparts in their home countries. University graduates in Korea and Japan learn soon enough that they can get better josb in their home countires when they have a good command of English via extra-curricular ESL courses. There is a concern among high school students in these Asian countries that the quality of English education in their primary schools and even a the university level is still inadequate. Going to another country and learning English with native language speakers allows Asians a hands-on immersion in both reading, writing and conversing in English. Enterprising Japanese and Korean school pioneers in the Philippines seeing that almost every Filipino who went to school can teach conversational English and run an ESL module based learning system and have put up plenty of transplant ESL schools in Cebu and Baguio, as well as in Manila. For as low as $800 to $1600, foreigners can enroll in Philippine-based English language learning schools for periods of up to 4 months--for cram classes. In South Korea, it costs the equivalent of Php 3,000 per hour to have a one-on-one, private English tutor. In the Philippines, a private English tutor can be hired for as low as Php 300 per hour, and the experience is more like having a friend teach and talk with them like an American. Teaching styles in Korea are more formal and many Koreans prefer the warm and engaging Filipino learning experience when choosing a low cost ESL opportunity. teaching English to visiting foreigner students. Japanese students visiting Cebu or Manila to learn English reportedly reached 30,000 in 2014, an eightfold jump in four years based on a report by the Nikkei Asia Review with stats given by the Philippine Tourism Authority. In Cebu-based ESL cram schools, paying students can put in 10 hours a day learning how to speak the language as well as read and write as best as they can manage for the duration of their stay. Vietnam's fast rising economy has made young Vietnamese more conscious of learning English to find better jobs and do better business as entrepreneurs, and an increasing portion of ESL students in Cebu in particular are middle-income Vietnamese young adults wanting to improve their skill sets. There are also a handful but increasing number of Ukranian and Russian students and young adult professionals taking the plunge to enroll in the Philippines than go to Europe--the closest place they find an ESL cram school. their ESL cram school experience--a holiday in Cebu learning English! A recent NHK TV feature posted on You Tube revealed that there are up to 150,000 foreign students and indviduals who visit Cebu to have crash courses in learning English. The feature focused on one specialty school SMEAG, which has its own campus facility with preppy student dorms housing visitor-enrolees on campus. The school building has its own cafeteria, movie screening rooms, a library and private study rooms for a one-to-one, tutor-to-student ratio for hands-on learning. At the SMEAG campus, the English courses cost from $1,200 and up (which include room and board plus food). There are dorm rooms for up to 5 students to live together and practice conversational English while there are also private rooms that cost extra for students who want more solitude in reviewing their lessons for the day. The range of nationalities studying English (ESL) in Cebu include young adults from Vietnam, Kazakhstan, China, Russia, Mongolia most of whom are sent over by their company to learn the language or use their own savings / parents funding their extra schooling. 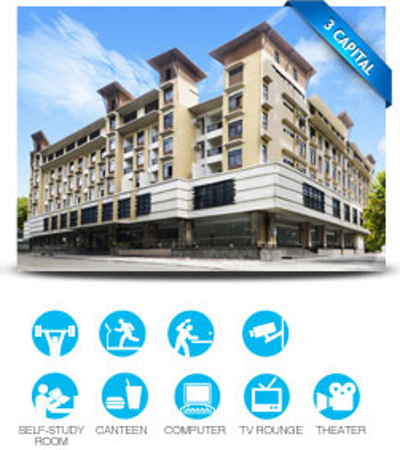 Baguio is also touted as one of the best destinations for learning English in dorm schools. The Baguio English Schools Association is a group of schools based in the city that offer local university degrees as well as ESL courses. 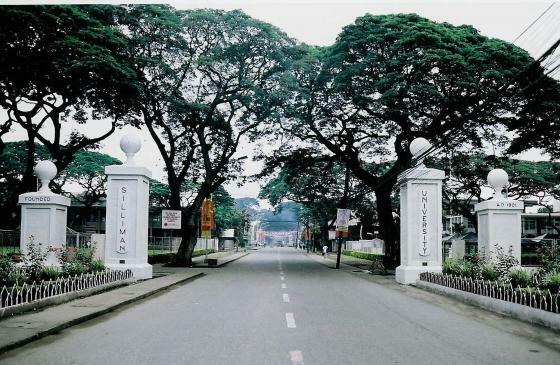 The University of Baguio and Cordillera State University are among the premier schools belonging to BESA. According to a U.S. survey, one in 10 medical practitioners in the U.S studied in the Philippines. This feat is amazing enough that foreign students from Iran, Nigeria, India and even the Maldives are enrolling in Filipino universities especially in the health sciences. African students (Nigerian) are now also flocking to the country to study marine engineering. Filipinos may also be the most patient, friendly and funniest, native English speaking teachers foreigners will ever encounter anywhere in ASEAN as featured in the NHK show. Only western backpackers and prospecting expats are the type who go out fo their way to find cheap accommodations in the Philippines long term. One semi-popular American video-blogger (Travis somebody) who scoots around ASEAN holiday hotspots has already made this endorsement: "Expats do not want to get stuck in the Philippines and run out of money." But this hasn't stopped South Koreans from investing in the country as a summer getaway home far from chilly Seoul. Nor Germans from flocking to Bantayan Island and looking for homes (tax declaration properties) to live out their golden years in a white-sand beach paradise hidden to the world. Nor Aussie celebrity sweetheart, Margot Robbie from taking a one week holiday secreted away in El NIdo, island hopping and enjoying a break from her upcoming movie Suicide Squad. Investing in the Philippines has created local Koreatown hubs which double as low-cost, summer holiday homes, affordable English-learning (ESL) schools, and even SME business opportunities. Many South Koreans are even choosing to raise their kids in affordable English-teaching primary education private schools for their entire formative years to sharpen their English skillsets as opposed to staying in Korea and learn there. Korean families trust local schools well enough to spend years here and watch their young ones grow up learning both English and Filipino. The preferred expat dream retirement community may actually exist in some off-grid nook that may look too backwater for most western and Asian urbanites but are the preferred places by savvy expat retirees and relocating investors as long as they have good internet, air-conditioning, decent health care services, proximity to an urban center with a mall for shopping needs, a good bookstore, and local events that foreigners can enjoy--concerts, food bazaars, weekend markets. Sagada is a quiet, university town with ethnic northern Filipinos in the middle-of-nowhere Mountain Province, which used to be a secret summer stopover for Manila students and schoolie foreigner backpackerson their way to Baguio. The mountain hideaway community is slowly growing in size and being developed with modern accommodations and other local services because of a growing expat community. Sagada is really like those remote mountain towns in rural Laos but the Mountain Province version has more modern facilities and more than adequate basic services in place. 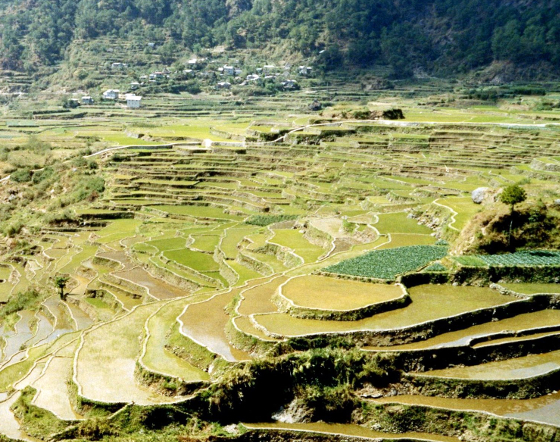 For low cost living among relocating foreigners, Sagada is the perfect expat hideaway for living out their golden years or for finding the coolest (literally) summer home for basing any entrepreneurial ASEAN start-up project especially bootstrapped web-based projects incubating for a year or three. Relocated expats have put together a living in the area by investing in local businesses or tourism like one American with Sagada Outdoors--a watersports rafting along the Chico river, or as enterprising as hippie art lessons at $12 an hour. There is a local university where one can tap savvy IT-skilled Filipinos for one's expat entrepreneurial ventures or you can ride a bus to Baguio where all the action is in this part of northern Philippines. 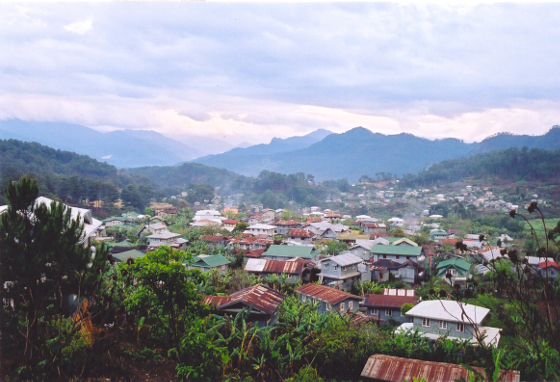 Baguio is also an expat community of its own although overdevelopment has creeped in and local conditions may not be ideal unless you want a crowded urban setting. If Sagada isn't to one's flavor, there are the Batanes Islands further up north for more middle-of-nowhere solitude, and typhoon season adventure off-grid. Three fishing towns amidst old church ruins and white-sand holiday resorts plus a yearly Holy Week parade re-enacting Christ's crucifixion is Bantayan Island off Cebu. 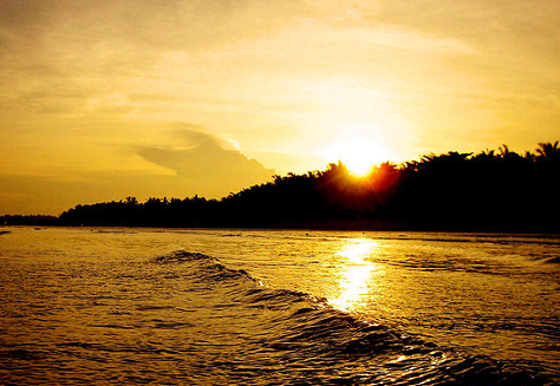 Bantayan Island is just Madridejos town, Santa Fe port town, and Bantayan towns put together in one secluded island. It is also known as the egg-basket of Southern Philippines because the center part of the island is where many poultry and egg-laying farms are situated. Beautiful sunsets along unspoilt, white-sand beaches have captured the hearts of many awestruck, western visitors looking for their ASEAN holiday holy grail: seaside paradise towns where one may just find the perfect place for a holiday home (as tax declaration property) and lay back enjoying a nest egg retirement. Check out one expat blog on Bantayan Island to give you an idea what it's like from a foreigner's POV. 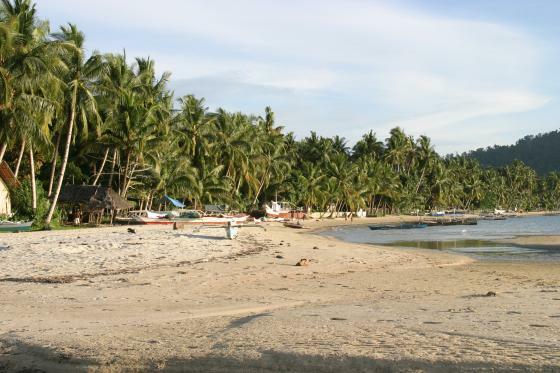 It is an open secret among the expat community that Bantayan Island is the preferred off-grid getaway place for both beach holidays and for relocating in the Philippines at a seaside community. Although the Yolanda typhoon ravaged the island as bad as every other town in its path, Bantayan Island has slowly recovered and has rebuilt most of what was swept away or blown down by the storm surge typhoon--the storm season gives everyone a heads-up of what to expect in almost every corner of the Philippines (strong typhoons are dangerous). Not being the tourist trap that Boracay or Anilao and other Philippine beach destinations are, Bantayan Island is still a great place to kick back. Cebu city is only a Roll-on, Roll-off Ferryboat ride away for your urban travel and shopping fix, and you can return to nice and quiet Bantayan--the best way to enjoy your retirement if you are an expat relocating within ASEAN Philippines as your second home away from home. Bantayan also works as the coolest, middle-of-nowhere place where you can base your Southern Philippines tech start-up. 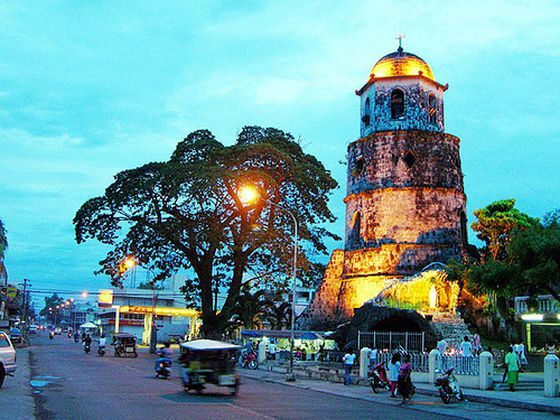 Also in the south, Dumaguete is a seaside city near Cebu that is another university town (with 5 major colleges located throughout the urban setting) not yet a traffic-congested urban nightmare like Cebu or Metro Manila. In fact, there are only two mid-sized shopping malls in the city, plus the college schools so you might not get enough options for urban lifestyle goings-on but the city is slowly coming into its own like Chiang Mai of Thailand--many companies are relocating their outsourced offices in Dumaguete to source their local talent from the schools. urban centers other than Manila. of local community and culture of this quiet Philippine province. 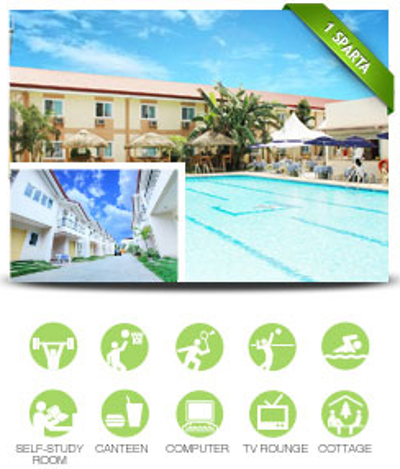 Some enterprising expat enterpreneurs have frequented the place to set up local staff for their start-ups and some even endorse the place as a relocation or retirement option for foreigners looking at ASEAN Philippines because the local conditions offer both great accommodations and growing expat community neighborhoods. 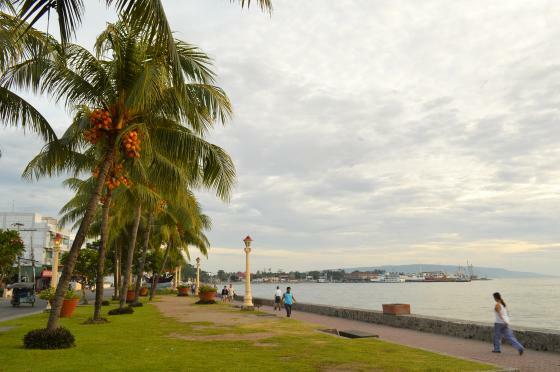 Dumaguete also surprisingly offers a limited work environment where expats can find temporary jobs if they choose to stay awhile in Dumaguete. Or retire there. Port Barton has been receiving attention as a middle-of-nowhere expat destination and possible retirement opportunity for low-cost living in the last Philippine frontier, Palawan. El Nido was the former beach holiday destination bannered by the country before Boracay became the more popular white-sand, summer getaway. 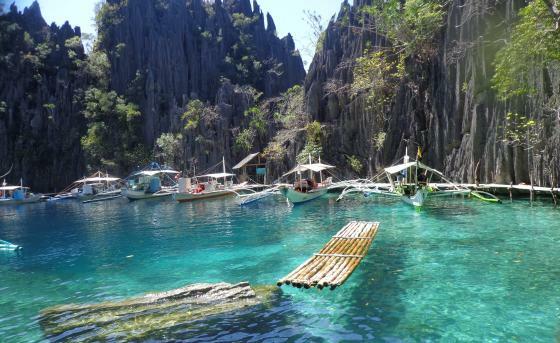 Port Barton, a boat ride away from El Nido. is one of those places that might have been a tourist trap but instead kept its quiet charm and off-grid anonymity. There are closed-down shops and even hotels in the town proper that might indicate a one-time opportunity lost among tourist trap prospectors but even those place can be revived with a different purpose and mindset--off-grid relocation and retirement. Many expat travelers highly recommend Port Barton for the solitude and quiet, even if it only gets electricity from 6pm to 12 midnight everyday. Locals in the town aren't greedily hustling for your tourist dollar and treat visitors very amiably. El Nido might be on the verge of getting revitalized as a beach holiday destination especially with sweetheart celebrity, Margot Robbie of Suicide Squad movie fame endorsing the place as a hideaway island-hopping paradise on Instagram, but Port Barton is where you can escape after enjoying the treating yourself in El Nido. Puerto Princesa on the other hand, is still the growing urban center in this frontier island that used to be a fishing village community, now small university town and waypoint into Palawan's beach destinations and diving spots. experience they will always treasure and come back for more. You can go to Puerto Princesa for your resupply run then go back to Port Barton to enjoy the quiet. Port Barton is looking very attractive for backpackers, hippies and eco-ranger aficionados. While many adventure-loving expats are looking for that middle-of-nowhere, "Mosquito Coast" enclave in Asia or the ASEAN community where they can esconce themselves in a hammock and live at a slower pace, what else comes closer to that daydream than the Palawan seaside, has-been resort town that still has its charms after the greedy prospectors went away? Port Barton will remain a sleeper backpacker favorite and where most expats looking for a beachside retirement-relocation community will be secretly flocking to. Whether expats choose to set their roots in the Philippines as a retirement option or a relocation spot for investing in the region, the country is very much underrated as a place to find opportunity. The South Korean community in the Philippines has eclipsed everyone's expectations of how easy it is to get along with Pinoys and create one's own cultural and business community in the country. ASEAN, Asian and Slavic-Russian students are discovering for themselves that the hype is real: the Philippines is the best bargain for getting a world-class education or just enjoying a cram school experience brushing up on conversational English. Learning English as a second language and passing qualification exams for it by learning with native speaking Pinoys is also a very good investment for serious foreign students.